Clean, pure water at a fraction of the cost of bottled water! Rainfresh TWIST system is an advanced drinking water system specifically designed for the urban home. This powerhouse water filter system delivers clean, pure water for the whole family by reducing lead , chemicals (pesticides, herbicides, insecticides, THMs , VOC , Benzene, chlorine , etc), and parasitic cysts . All the performance at a fraction of the cost of bottled water. 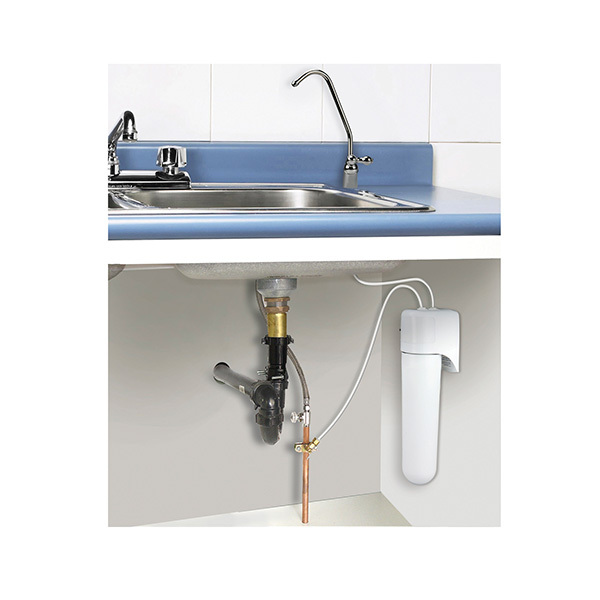 Installed under the kitchen sink, the TWIST system features a stylish chrome faucet through which filtered water is dispensed. 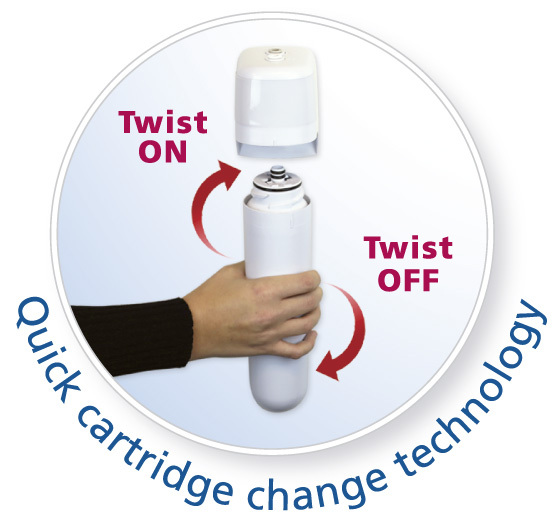 Filter cartridge changes are extremely easy – just grab, twist and remove! Rainfresh TWIST is a top rated water filter and offers exceptional value through top performance and economy. It’s made in Canada and a must have for every urban home! Installs easily under kitchen or other convenient location in 45-60 minutes average. Click below to buy parts for Rainfresh TWIST system directly from Rainfresh online store. The best Home water filter system Canada! Rainfresh TWIST system is an advanced drinking water system specifically designed for the urban home. This powerhouse home water filter system Canada delivers clean, pure water for the whole family by reducing lead , chemicals (pesticides, herbicides, insecticides, THMs , VOC , Benzene, chlorine , etc), and parasitic cysts . All the performance at a fraction of the cost of bottled water. Rainfresh TWIST is a top rated home water filter system Canada and offers exceptional value through top performance and economy. It’s made in Canada and a must have for every urban home! Fantastic product. The Twist cartridge-change feature is cool, even my daughter can change cartridges. It is easy to install, water tastes great and we love the faucet. The monitor feature is great but couldve been better with a audible alarm as well. It performs better than 2 and 3 stage competitive products that even cost more. Its compact and goodbye bottled water…hello environment ! PROS TWIST cartridge change feature Cartridge-change monitor Faucet Price MADE IN CANADA I’d recommend it to everyone! Even though the tap water is of good quality, the filtered water tastes much better. The installation took me a couple of hours, because I have decided to drill a hole in the stainless steel sink (make a spray hole), instead of drilling the countertop. Although it is not recommended to install the saddle valve on PEX pipe, I took a chance and it worked. However, I took precaution to install the valve close to the brass T-connector and did not overtighten the bolts. The only problem with the unit I have noticed is that compression nuts are not threaded enough, so they need to be tighten strong to make leak-free connections. Purchased this item a year and a half ago. The last couple of times I changed the filter it wouldn’t “lock” into position. It started to make a banging noise when I turned on the faucet. I e-mailed Rainfresh and they gladly sent me a replacement head unit which fixed the problem. You can buy this item with confidence that Rain Fresh will stand behind it. My wife and I installed this just because we were worried about the lead property pipe that brings water into our house. The city tested our water, and the lead result was very low, but we wanted to be sure. Lead does serious damage to fetuses and children, google it. The Brita device at the tap does the same job but we didn’t want something hanging from the faucet. The Rainfresh Twist took us 45 minutes to install. No drip, no mess, no problem. The clamp and pierce device is genius. After it was installed we could immediately taste the difference in the water. BTW, the Brita in the fridge doesn’t filter lead and took up too much room. Bye Bye. Great value for what you get and the filters are a good value for 6 months of filtering. Would be 5 stars, as the install would have been easy and quick, IF parts weren’t missing from 2 separate boxes. To keep the story short, it now works wonderfully. It fills up my water bottle quickly, my kids sippy cup in seconds, and the resevoir for my coffee maker in half a minute. Setup was very straightforward, you don’t need much experience to do it, but you do need to follow the instructions. You also need a few basic tools, like a drill, and a small adjustable wrench that can handle roughly a 1/2″ nut. My reason to take the time to write this review is I had an issue after the installation. The people at Rainfresh spent a lot of time on the phone with me troubleshooting, and when the answer was replacing a part, they had it shipped to me in 2 business days. That is standing behind your product! The Product is working very nicely for our needs. 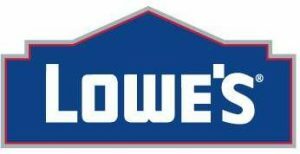 The customer service we received was excellent and prompt! We were unsure of some details and had misplaced our manual so I sent in an email with questions. the email was replied to instantly and all questions responded to with great satisfaction. Thank you – Excellent customer service. Great product that made our drinking water not only taste better but also be safer for our family. Love being able to cook with filtered water now (did not have the patience to do that with Brita filter) and rinse baby bottles with clean water. Was very easy to install and filters are easy to change. Only – is the durability of the faucet. It started leaking and now drips quite fast. When I called customer service they tell me to buy now faucet for 40$. I expected the product to last longer. Not very envrionment friendly if you need to change the faucet every 2 years. VOC (Volatile Organic Compounds) are a class of organic chemicals that are known to be harmful to human health. VOC s enter ground water from a variety of sources such as oil spills, pesticide run-off, boat traffic in lakes and rivers, flushing industrial solvents and cleaners into the environment etc. VOC are regarded as potentially cancer-causing and should be removed from all drinking water supplies. Rainfresh Drinking Water System models UCS3, QS1, QS2 and filter cartridge models LR1 & VC1 are tested and certified for reduction of VOC from water.